LG on Monday 18 Feb 2013 has revealed their lasted addition of Smartphone of Optimus G versions in South Korea, the new LG Optimus G pro with a bigger screen size of 5.5 inch and will be leading to United States in few months. Although LG has still not confirmed on dates that when they will make available this Smartphone for US but they have confirmed that LG Optimus G pro with 5.5 of Display will soon be launched in the US. 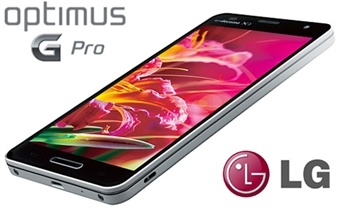 As soon as the launch date of LG Optimus G Pro in US will be confirmed we will let you know.